Rochester Institute of Technology’s National Technical Institute for the Deaf recognized Barry Culhane, executive assistant to the RIT president, with the 2018 National Advisory Group Outstanding Service Award. The group was formed during the establishment of NTID in the 1960s, and this is its highest honor. 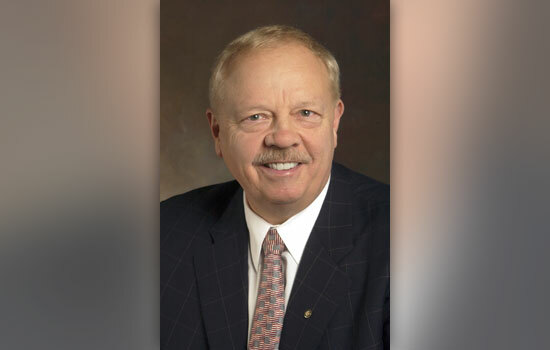 Culhane began his RIT career at NTID, first as a research associate for the division of integrated educational programs in 1974, then as department chair for general education programs, moving into the associate dean role in that area. He became the assistant vice president for RIT Campus Life, and later returned to teach at NTID. In 1993, he became RIT student ombudsman and then project assistant to President Albert Simone, continuing on to serve three RIT presidents, and receiving the RIT Four Presidents Award for Distinguished Public Service in 2004. During his career at RIT, Culhane served on the NTID Promotions Task Force, was an adviser to Computer Science House and NTID Student Congress, and served on RIT’s United Way Steering Committee. Culhane is equally known for his dedication to the Rochester community, serving as a board member of Junior Achievement of Rochester, Rochester Area Multiple Sclerosis Society, the Al Sigl Center, and many others, and as chairman of the Greater Rochester Vietnam Memorial Committee. His dedication to veterans has bridged Culhane’s work at RIT and the community, making RIT’s annual Veteran’s Breakfast a moving tribute. In 2012, he was inducted into the New York State Veterans’ Senate Hall of Fame. That same year, he received the Edwin and Jacqueline Harris Award for service to veterans by the Veterans Outreach Center of Rochester, and was recognized with the Lifetime Achievement Award for service to veterans. Eleven years ago, former RIT President Bill Destler suggested that RIT develop a showcase for the community to experience all of the exciting happenings on campus. From that suggestion came the largest, most popular event in the university’s history—Imagine RIT: Innovation and Creativity Festival, which Culhane has chaired since its inception and been instrumental in its success.